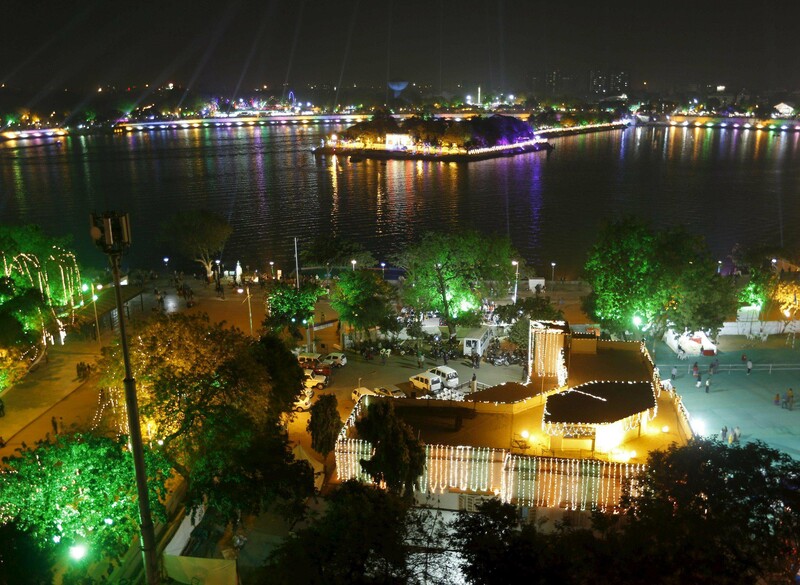 The historical Kankaria Lake having a periphery of about 2.5 Km has been the symbol of Ahmadabad’s identity since almost 500 years. 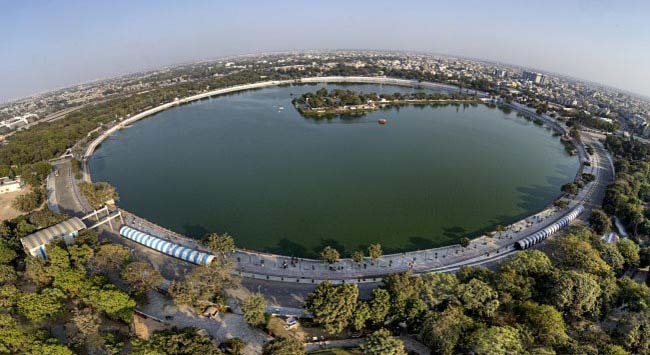 The historic lake around an island garden called Naginawadi has been an evergreen outing place for the people of Ahmedabad. 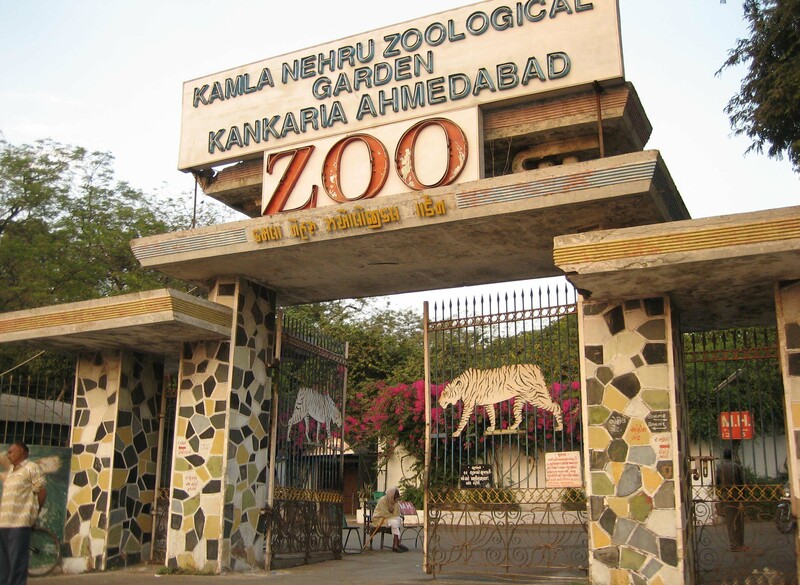 Along with the adjoining Zoo, Balvatika, Aquarium and surrounding hill gardens, it offered a complete entertainment centre. Given an expanse of around 4 sq km of permanently filled water body, it has acted as the lungs of the relatively lower income South Eastern part of the city. Kankaria visited by hundreds of visitors was an urban chaos characterized by unclean ghats, traffic Chaos on the 2.4 miles periphery road, unorganized street life including a congested eating area on one corner thriving with street food vendors. The periphery wall was in a dilapidated state, and lake precincts presented somewhat unclean and disorganized environment. Vehicle parking along the periphery walls often blocked the view, and visiting children had a hard time amidst the noise, traffic and resultant chaos. Kankaria had also gained notoriety as a suicide point. In short, a city level pubic space with high potential for being a high quality recreational /entertainment space had deteriorated. Given the opportunity, the development of the lakefront was planned with facilities like Mini Train, Food Courts, walkways, Linear Gardens & Landscapes and Musical Fountains by the Ahmedabad Municipal Corporation. AMC adopted a model of service delivery of various recreational activities through in-house planning and capacity building combined with use of capable and experienced private sector players in a phased manner. The project was completed in 2008 at the cost of Rs 360 million. The lake was transformed into a Complete Entertainment Centre. Ahmedabad Municipal Corporation resolved to charge the entry to cover the maintenance expenses at the premises. The response from the citizens has been overwhelming. 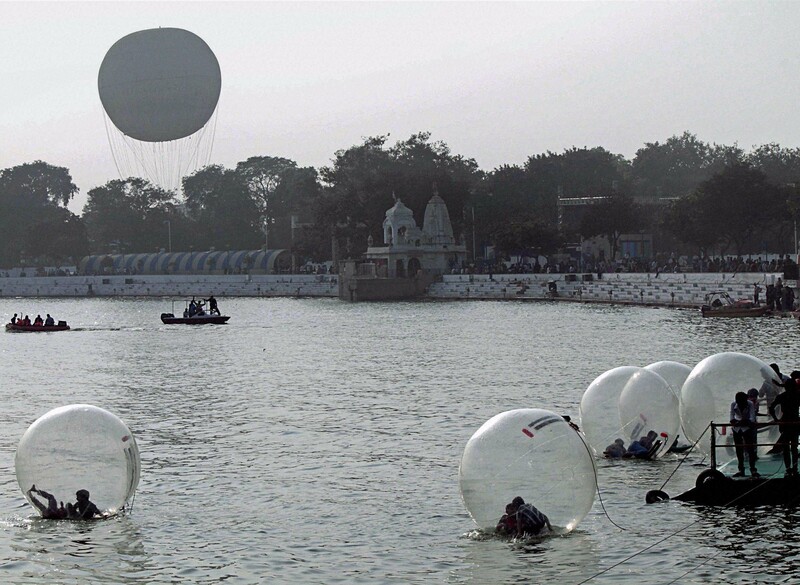 During last one year more than 1.18 crore visitors have enjoyed the ambience of the transformed Kankaria Lake Front (70 lacs visitors during weekdays since start of its operations & 48 lakh people participated during the Kankaria Carnivals of 2008 and 2009). Moreover 12.5 lacs visitors and children took joyride of mini train – ‘Atal Express’. Festivals, small gatherings, educational tours, jogging, informal meetings, picnics etc. have become new face of Kankaria to attract younger generation in a meaningful way. Further, the Lake is emerging as a platform for creative expressions of different communities of artists. Programmes like ultra-fast laser show with sound, fireworks and musical nights are attracting tourists from other cities and states. As a result of the project, a chaotic spot has been converted into a well organised recreational zone through a planned and think through approach despite many challenges. Further the project demonstrated a useful model for incorporation of project affected people like the food vendors into the project. Also, the project provided opportunities to launch city level and state level events that see participation from all communities and strata. Moreover, because of the clean environment, it has been observed that, the ecology of the place has attracted many new species of birds for breeding. Journey of Offering World Class Services Thus Far!! !